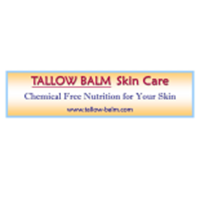 TALLOW Skin Care relieves and restores dry, cracked skin because it is biologically compatible with your skin. TALLOW Skin Care relieves and restores dry, cracked skin because it is biologically compatible with your skin. It contains only 3 ingredients that are in their whole and natural form. It is a hand made local product.